Life by the Creek: Christmas projects! And, it was also my project... or my mission, whichever you prefer ;) to have said brother adopt one of our shed kittens. Cause they are adorable. Since I have over fifty new holes in my legs his name is most definitely Baron Von Evilsatan. Glad kitty went to a good home. Sir Evilsatan is lucky. I think Baron Von Evilsatan is a simply marvelous name. Plus, Adeena, you kick burro*. Seriously. I died when I saw that afghan. Totally wicked. 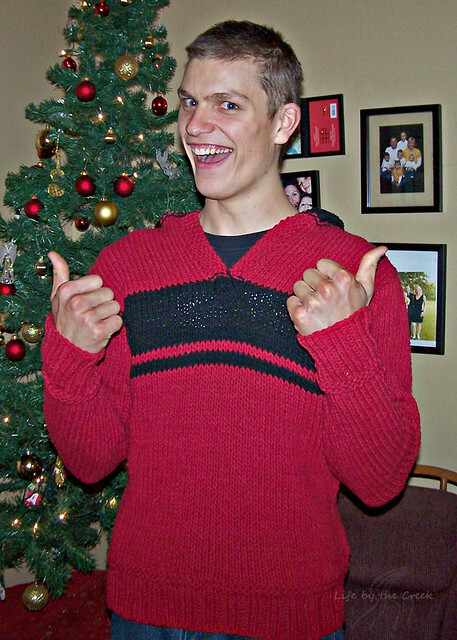 And the sweater is very cool too. But today, I walked into Mom's, and Linda is wearing a very cool wickedly awesome hat, the kind of hat I've been wanting, and I say to her,"Where did you GET that?!" And she says, "Oh, Adeena made it for me." 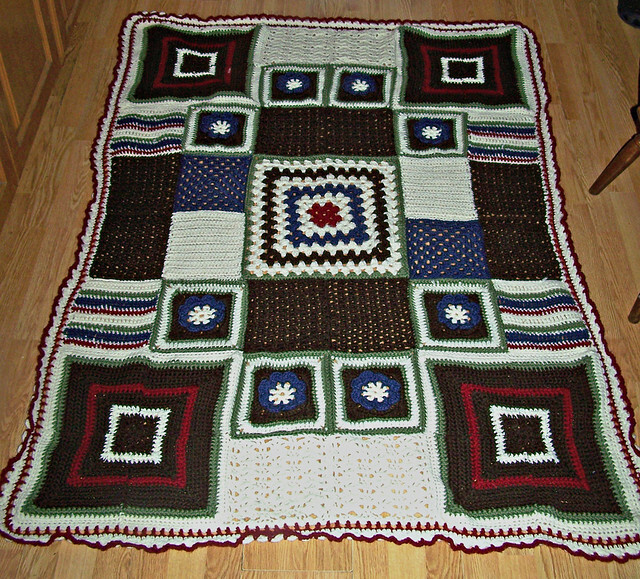 I was okay with the afghan and sweater. But the hat? Pushed me over into an abyss of seething jealousy. And also, I love the name Baron Von Evilsatan. It was an easy pattern - took two evenings. ;) What colour do you want? Looks great. Love the blanket. Heather wants exactly what Linda has. Same colour even. Baron is a good name. Not sure about von Evilsatan. Poor wee kitty.